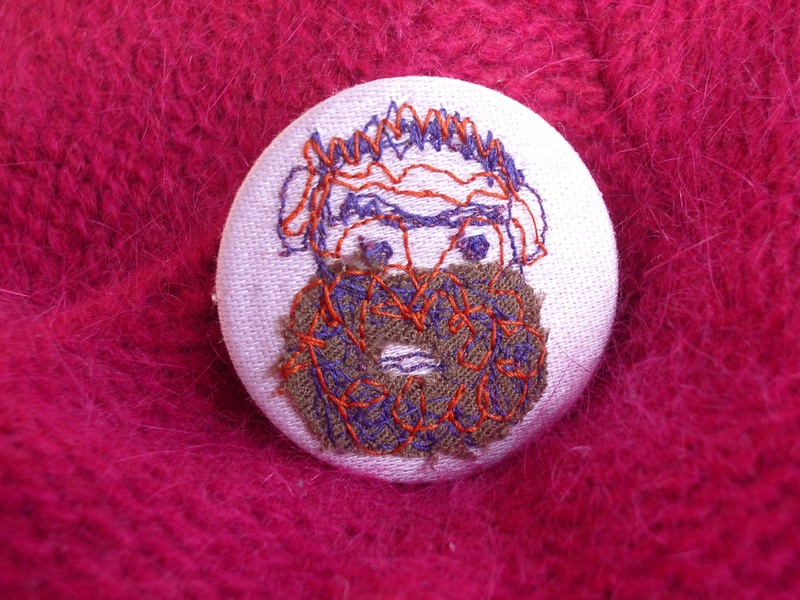 Free motion sewn badges, beards & hats! Since my last blog post about experimenting with free motion sewing I managed to find a ‘domestic sewing machine free hand screw on darning foot’ on eBay (very good value for just under £6 including postage) that fits my machine – good, it was really making me cringe, the thought of getting punctured and bloody fingers. It would be like wounding yourself and getting stitches all at the same time without anaesthetic – ouch & yuk! Anyway, here are my latest free motion efforts. I’ve been trying to work at a smaller size so that I could utilise my badge machine to make fabric badges. A few I quite like and others are definitely still in the ‘experimental’ zone! 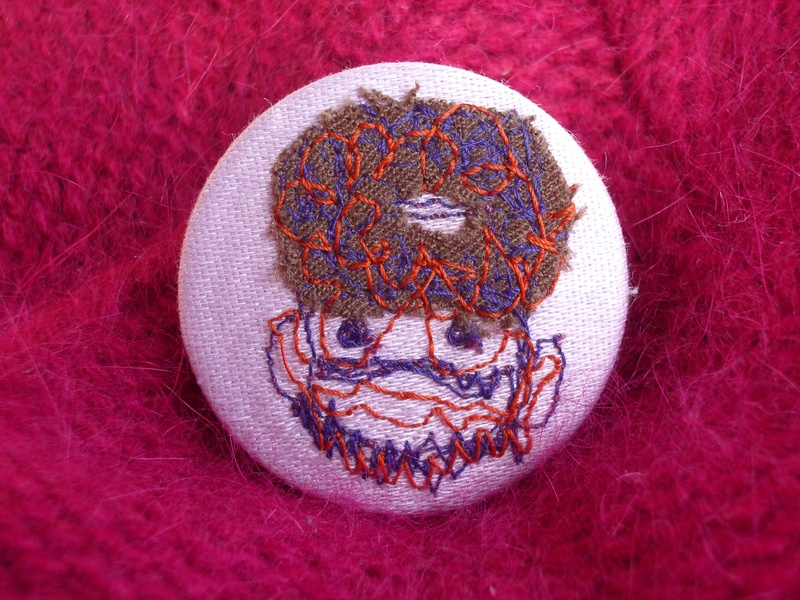 …and discovered that upsidedown he looked like a gurning old git wearing a chewed fruit pastille hat! 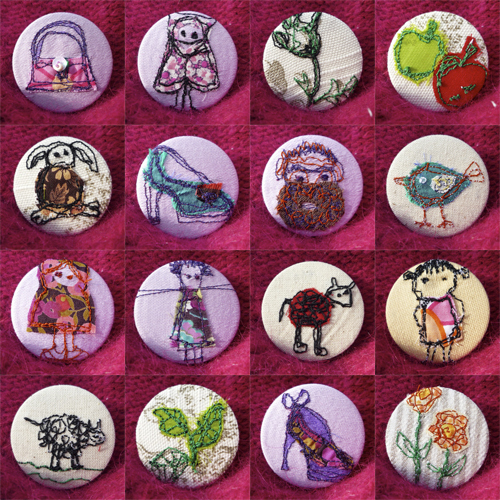 It’s good fun trying to draw with a sewing machine, the results are never quite what you expect! 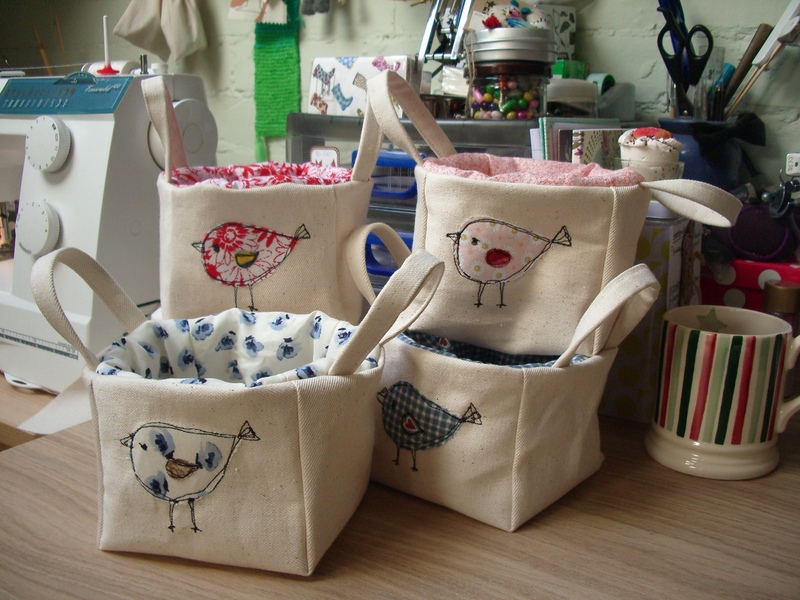 If anyone has any free motion sewing tips or blogs they can recommend I’d love to check them out so please do leave comments.